The Big Grassy River Education Authority believes education must be holistic and provide for the development of each student’s intellectual, social, emotional, physical, spiritual growth and well-being. The Big Grassy River Education Authority believes in the respect, dignity, value and worth of each individual and that all interactions between staff, students, parents and community members be based on that philosophy. The Big Grassy River Education Authority believes learning is a life long process and that the education system must be flexible, adaptive to change; yet always focused on the needs of the student it is designed to serve. The Big Grassy River Education Authority recognizes and appreciates that each student has different attitudes, desires and abilities and therefore requires its staff to be sensitive, caring and highly skilled. The Big Grassy River Education Authority is dedicated to the promotion and enhancement of it culture and language and is committed to the teaching of each student the value and importance of their Ojibway heritage. The Big Grassy River Education Authority believes that parents and community members play a vital role in determining the goals for education and in providing the motivation for students to be successful in their growth and development. Parents/ Guardians are expected to be active participants in the educational endeavors of the Big Grassy River First Nation. 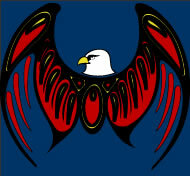 The Big Grassy River Education Authority is committed and dedicated to an educational environment that provides each student the opportunity to develop the skills, attitudes and behaviors needed to meet the challenges of life and to help each student make a positive contribution to society and to the First Nation of Big Grassy River.